County Courthouse and its well-landscaped square. 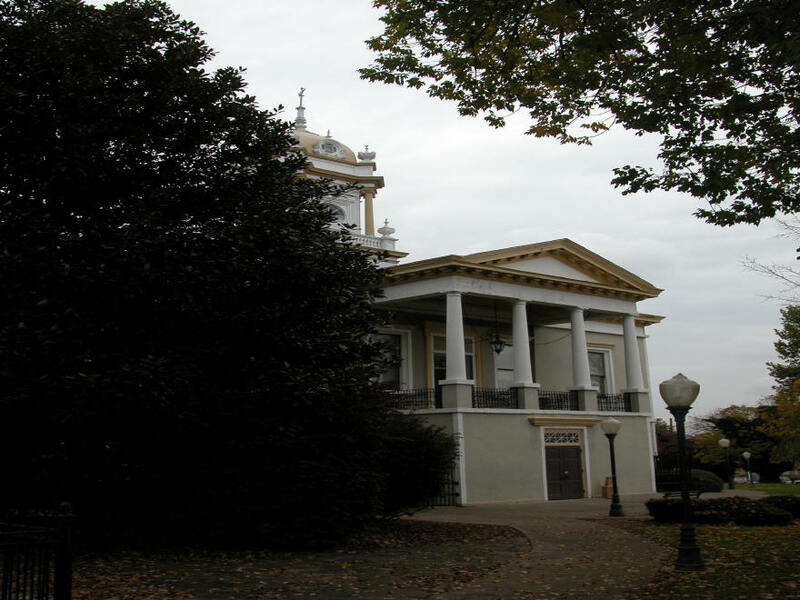 From its tasteful decorations to the delicate dogwoods blooming in the spring, the courthouse and the square located in the middle of Morganton are a sight to behold. 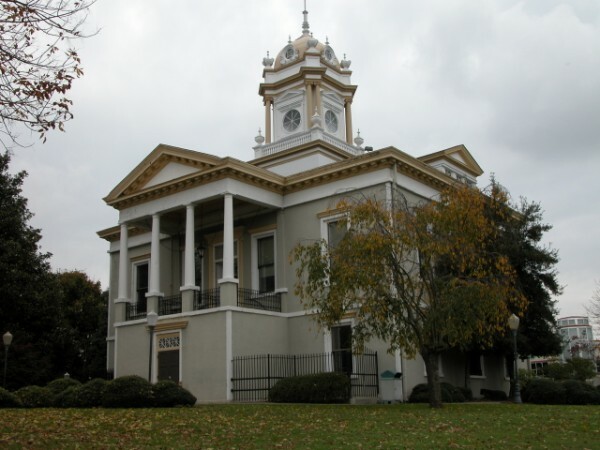 The first courthouse in 1784 was made of wood and became inadequate fro the growing county. 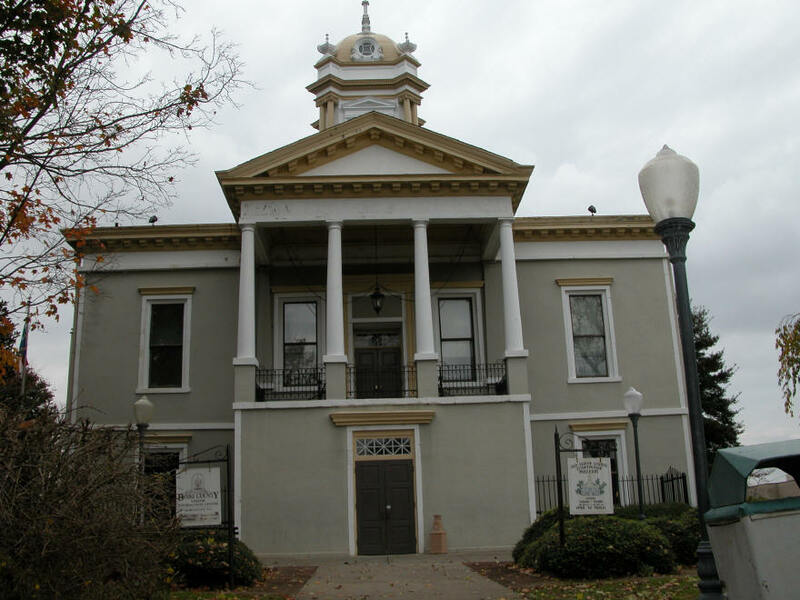 The North Carolina General Assembly allocated $8,000 for a new courthouse and construction began in 1835. 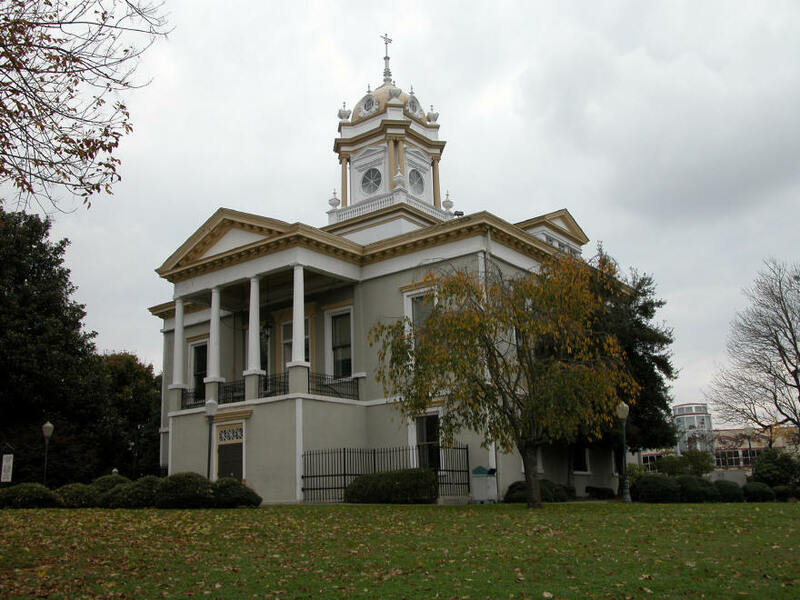 Work on the county's most recognizable structure was completed in 1837. It is so recognizable, in fact, that The News Herald uses the courthouse's Baroque style cupola in its masthead. 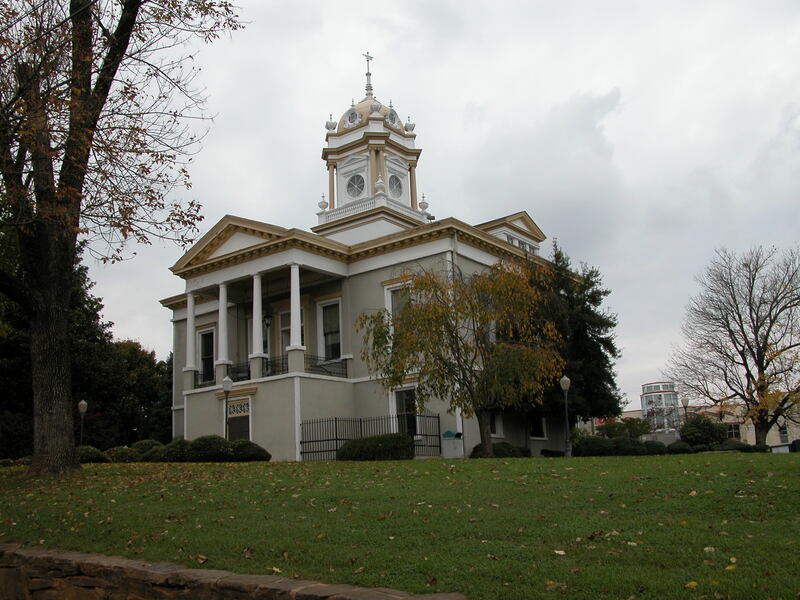 From 1847 to 1862, the North Carolina Supreme Court held its August sessions in this building because summer climate in Morganton seemed more tolerable than in Raleigh. 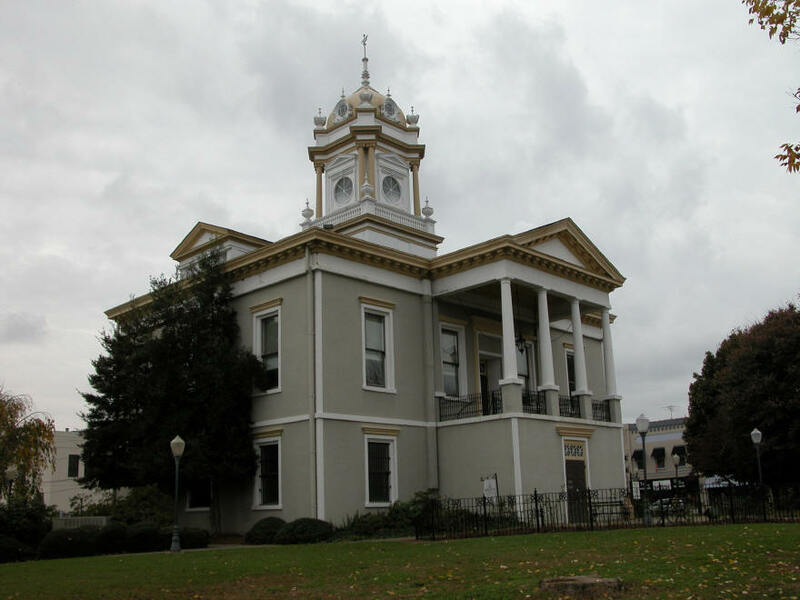 This, plus the Superior and County Court sessions, made the courthouse square the center of activity for the county. 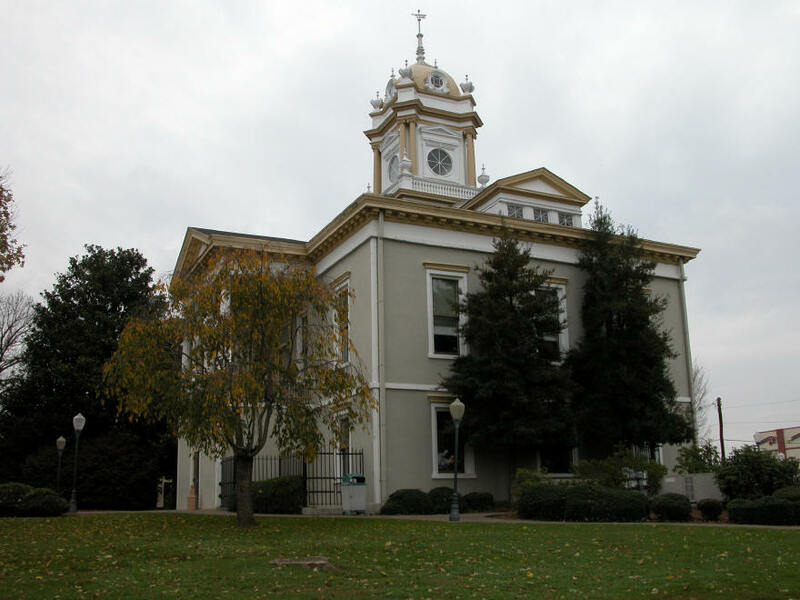 In 1903, alterations were made under the plans of Charlotte architect Frank Milburn who designed 65 courthouses, primarily in the South from 1889-1926. 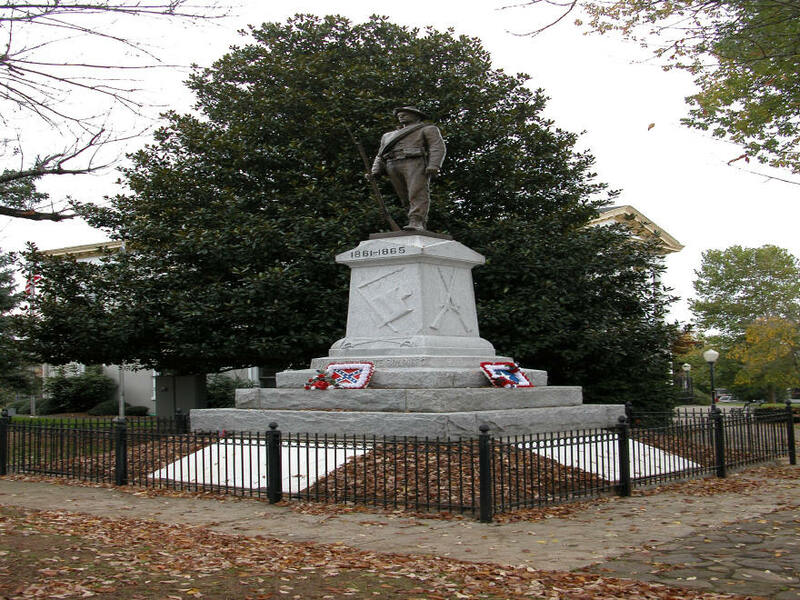 The Confederate Memorial Monument was erected in 1910 and the bronze statue of a confederate private standing guard was erected in 1918. The courthouse underwent major exterior restoration in 1977-78 and interior restoration in 1983-84. 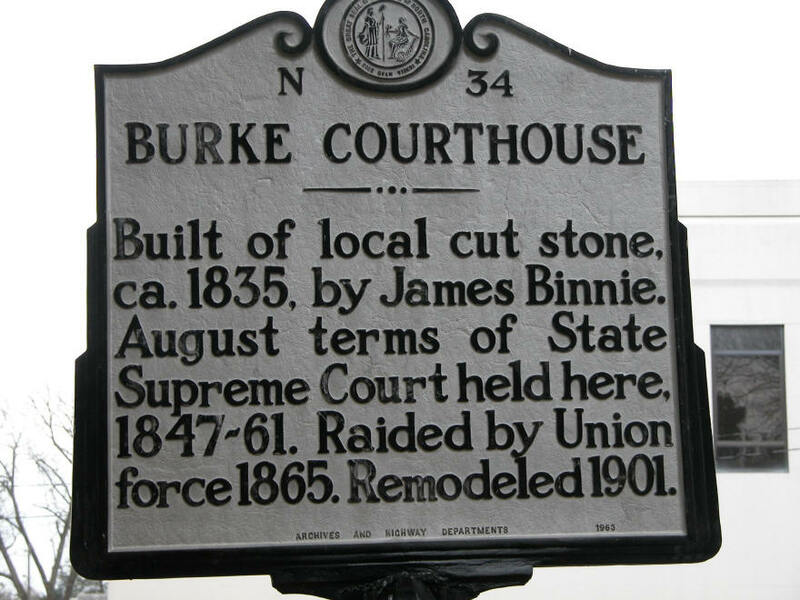 In addition to a Heritage Museum, the courthouse now house the Historic Burke Foundation office as well as the Burke County Travel and Tourism office. The courtroom upstairs has been used as an auditorium and has been a frequent site fro political candidates stumping in Burke.